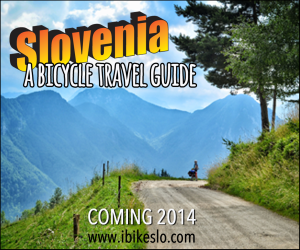 Here at Two Wheel Travel we think a lot about bicycling. Lately, we’ve thought even more about the stuff we like to use while bicycling. So, it only makes sense that we would want to help you find just the right holiday gift for the Bicycle Tourist in your life. When we started compiling this list, it quickly got rather long. Instead of giving you a list of every single bicycle related gift item we could come up with, we paired it down to a select few that we would like to receive or give as a gift. By the way, I ( Tyler) am a large and I like blue, I ride a 60cm frame and any color gloves will be fine, thanks. Sit back, have another eggnog, put on the Perry Como album and read our recommendations for the perfect bikey Holiday Gift while you’re making your list and checking it twice. You can even share it with your friends. Maybe they’d like to get me something too…? Two Wheel Travel’s Holiday Gift Guide for the Bicycle Traveler. Sure to be tops on every good little boy or girl’s holiday gift list is a bike. And why not? Who doesn’t love a bicycle, especially one that is designed to take you camping, picnicking, touring and frolicking merrily across the countryside? For years we’ve tried every manner of pedal out there. Like most of you, we used clipless pedals for several years. Back when our folly was MTB’ing we swore by that clip/snap feeling of clicking into the pedal. Something happened though. 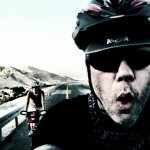 We started touring and traveling long distances by bicycle. Noticing that we didn’t need to be clipped in to the pedals, we started using flats. Flat pedals give us the freedom to use almost any shoe, they allow us easier on and off since there’s no more clicking in and out, and they even help reduce knee strain by allowing us to adjust our foot position on the pedal during longer rides. The Grand Cru Sabot Pedals are great for almost any type of cycling. Across town or across the continent. CNC cut Aluminum construction for lighter weight, at 408 g per pair, the Sabot come with replaceable pins for grippy purchase on the pedal and 3 sealed bearings for a race pedal smooth rotation. The folks at VO have tested these pedals with all manner of shoe from Espadrilles to minimalist Running shoes. They come stock with rounded traction pins so they won’t trash your shoes, but you can always change them out if you want more grip. Extra pins and a wrench are included. 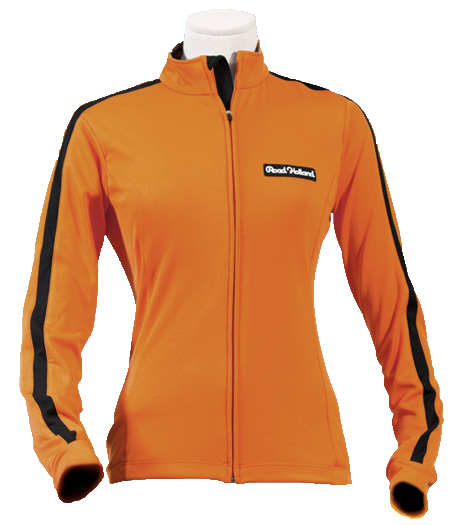 We are always looking for new and better cycling clothing. Especially women’s clothing. Better yet if it’s wool. The Harlingen is a women’s jersey cut to just the right proportions. Designed by women, for women. It hugs your shape in all the right places. This jersey marries two fabrics into one. Merino Wool on one side and Polyester on the other. Designed as a jersey that can go from saddle to supermarket and back again, the Harlingen has a full zip front for ventilation and a zippered exterior pocket along with 3 open rear pockets for storing the little things, like a patch kit, a mobile phone, or the half eaten sandwich that your three year old “saved” for you. Made in the USA at Road Holland‘s Miami facility. Hand Painted SUZU Bell by Crane. Also, because they are open on the bottom, water can’t build up inside the bell causing rust or dampening the ring of the bell. So, keeping in mind that we have a thing for these bells imagine our surprise when the fine folks at Harris Cyclery announced that they have a super-special version. There I was, just a few short days ago, strolling through the depths of the inter-webs and ‘what to my wondering eyes should appear…’ ? OK, no reindeer, but the bell is still really cool. Don’t you think? There are only preliminary photos, but the bells look to come in 5 painted varieties, with our personal fave being the Japanese Koi design. Everyday Bicycling- How to Ride a Bike for Transportation. So, it’s winter. A great time to catch up on your reading, right? Good news. The amount and quality of bicycle related reads just got a whole lot better. Elly Blue’s first full length book, “How to Ride a Bike for Transportation (Whatever Your Lifestyle), addresses the issues that face everyone who rides a bicycle. Over 70% of Americans say they want to ride a bicycle more often. Everyday Bicycling is the book that shows you how. Everyday Bicycling is for busy people with real lives who are looking for a fun, healthy, economical, way to do everything in life from going to work to getting groceries to riding with kids. Friendly and accessible, the book shows that everyone can ride a bike without expensive gear, athletic ability, or major lifestyle changes. by Ellee Thalheimer, Lucy Burningham, and Laura Cary. Portland, the City of Roses, may be best known these days for Beer and Bikes. Consistently ranked as the top bicycling city in the US and home to more than 35 breweries it’s only natural that a bicyclist’s guide to Portland’s growing craft beer scene would make the list. Hop in the Saddle: a Guide to Portland’s Craft Beer Scene, by Bike dutifully maps out stellar bike routes that will help you enjoy the best of each of the city’s five distinct neighborhoods: Northeast, Southeast, Northwest, Southwest and North, complete with detailed maps and cue sheets. Nationally-published beer writer Lucy Burningham and prominent cycle guidebook author Ellee Thalheimer join forces to link the best craft beer spots in Portland with the city’s famous cycling routes. Even adding in some “Bike Nerd Extended Routes” for the thirstiest Velophile in the crowd. Hop in the Saddle only includes the best of the best, from the city’s most intimate tasting rooms and knowledgeable beer sommeliers to innovative brewers and top-notch cheesemongers. Whether you’re interested in drinking beer straight from the barrel, knowing what are the city’s top chefs’ secret cellar beers or loading up your bike some rare bottles, Hop in the Saddle pours a strong brew of insider info. So, by now you know that we’re from Oregon, and we love most things about Oregon, particularly cycling. Not only does our fair hometown, Portland, have some of the best urban cycling routes in the US, but the state of Oregon at large is home to possibly the finest multi-day routes of any place we have been. Until now, amazingly no one has produced a quality guide to these routes for the last 20 years. Cycling Sojourner: a guide to the best multi-day tours in Oregon breaks the mold of traditional bicycling guides, providing readers with all the tools they need for multi-day self-supported bicycle tours in Oregon. This beautifully designed book features comprehensive, up-to-date information in a creative and accessible tone. Ellee Thalheimer’s experience and unfiltered voice are sure to inspire any seeker, adventurer, or desk worker who has even the dustiest thought that a bike journey could lead them down a strange and wonderful road. Merino Wool. As we said earlier, it is quite possibly the greatest material for clothing every discovered. For years our favorite brand has been IBEX. They make some of the finest constructed Merino Wool outdoor clothing that you will find anywhere. You might notice the ubiquitous green wool jersey that Carolyn wears in most of our photos; we call it her ‘uniform’. It’s an IBEX Shak full zip. I have several pieces as well. We love it. So, upon discovering the newly styled Men’s IBEX Shak City Roller, we knew it needed to be on our Holiday Gift Guide. A do-it-all cycling jacket with reflective piping for high visibility built form IBEX’s 21 micron dense point merino wool fabric, an exclusive square weave that creates a rugged yet soft knit with natural stretch and long-wearing durability: this is a bomb proof piece of kit that will last for years and look good doing it. Remember when I said, I have several pieces of IBEX clothing. This one is my personal fave. Yes, IBEX makes great outerwear, underwear and other-wear, but for me these gloves are the best item they make. Back when I worked at Clever Cycles, this glove was standard issue among the group there as the go-to glove in the cold and rainy days of Portland. Now in Poland, where the definition of cold has been cranked up a notch or ten, I wear these gloves on a daily basis here, too. The unpretentiousness and warmth of these gloves makes the perfect cycling gloves for everyday and long distance use. The Knitty Gritty Gloves by IBEX add a needed layer of warmth just when you need it most. Made with a tight-knit Lamb’s wool and grippy inner palms with the trademark IBEX icon. The black color is my personal choice, although as I said above, you can get me any color and I’ll be happy. For a while there it seemed like Shower’s Pass was following us. In the late 90’s and early 2000’s we lived in Arcata, CA and so did Shower’s Pass. In late 2004 we moved to Portland. Soon, so did Shower’s Pass. More than a coincidence? You be the judge. One thing we can say is, we’re glad they like us, since we certainly like them. Like IBEX, we have several Shower’s Pass garments that we treasure dearly. (I even got be in on the early release of the Portland Jacket when I was at Clever Cycles. Sweet!) So, when we sent out a public call for inclusion on our Gift Guide, we were pleased the our friends at Shower’s Pass quickly replied with yet another great piece of freshly created rain gear. The Rogue Hoodie by Shower’s Pass is a street wise, bike friendly, and fiercely weather resistant technical hoodie, the Rogue is like your favorite sweatshirt, only better. Featuring a fleece lined, 3-layer waterproof softshell the Rogue is ideal for temperatures 55 degrees and below. And that’s a good thing, since this time of year in Northern Europe we rarely see temps above freezing! Surely he was mistaken. Ok, yes we’re American, and we do have our trusty Sporks with us on almost every tour, even day-trips ( You never know when you might need some soup or find a great piece of pie! ), but forgive me, Oh ‘Master of the Obvious’, but the Spork is most certainly a European thing too. In fact our preferred Spork is that made by Light my Fire. A Swedish company. So, nah! Now, I have always wanted to do a gear review of the Spork on this blog, but Carolyn thinks if did then most of you would stop reading almost instantly, so we can save that for later…. One of the most interesting parts of bicycle touring is cooking, while we do relish the simple gourmet challenges of cooking on the road, we sometimes would like to grill some veggies, tofu burgers or even the occasional Austrian River Trout, but carrying a grill has always seemed, well, a little excessive, even for us…until now. I know you can’t exactly use them on the bike (well maybe if you are on a really good bicycle picnic!) but have you seen the Campagnolo corkscrew? A real work of Italian art. Also the Park Tool pizza cutter if you can find one, both of them for the cyclist who has (almost) everything! Tyler, Perhaps someday I will have a 59cm Campeur for you, especially if I go off touring on bigger tires again. May have to wait until next Christmas though, and no guarantees it will still be shiny. Oh, it doesn’t have to be shiny. 🙂 I’m saving my pennies for now. Hopefully I’ll get one in the spring, if they’re still in stock. One thing I wish I had at times was a bell on my bike. I’m not one who likes to holler at people in front of me. While I was biking down the Alaska HWY I hollered out to another touring cyclist in front of me and ended up scaring him! Oops! We did have a good laugh about it afterwards though. Thanks for this list! We used our bells a lot in Napoli– for cars mostly! They all seem to honk at each other, so we felt it only right to chime in with our bells.